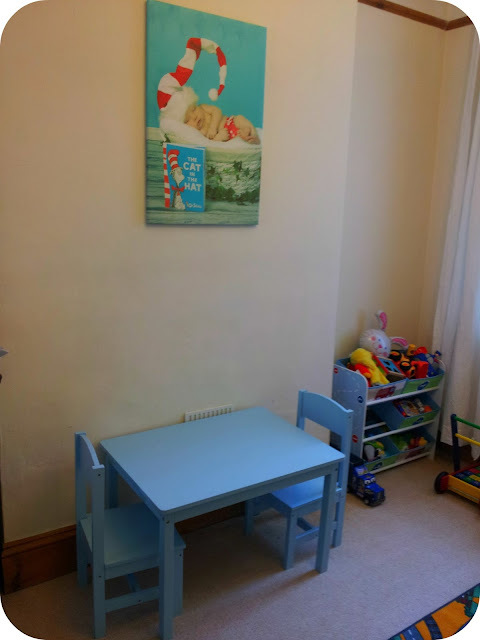 It has taken four months, but we have finally finished unpacking and Dylan and Archie have their very own space. Our living room is nice and long so we have decided to have half as an adult end with the sofas and TV, and the other half for the boys. The idea is that it is their playroom, without being in a separate room and the bloke and I can have nice relaxed evenings without toys covering every surface. 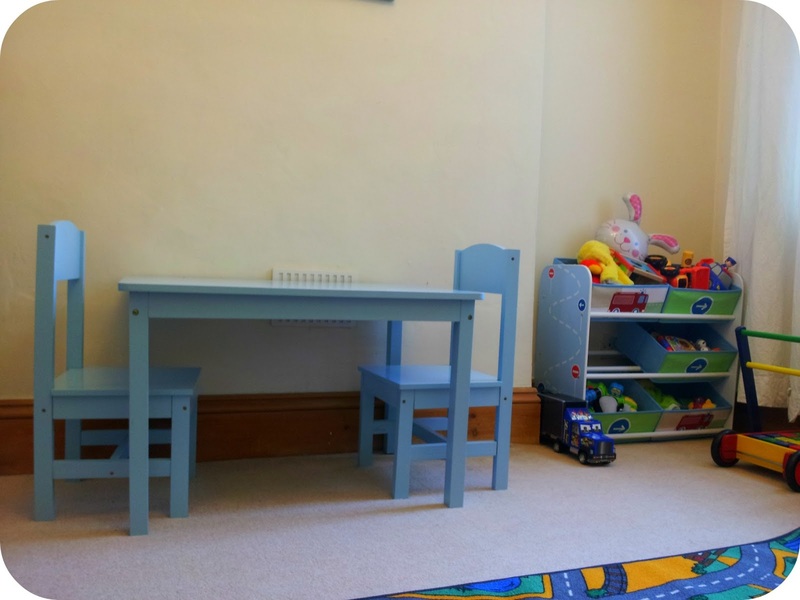 We have a lovely bookcase from Tidy Books in blue wood, so I bought some blue wooden toy storage too to contain the multitude of toys that we have accumulated over the past twenty months. 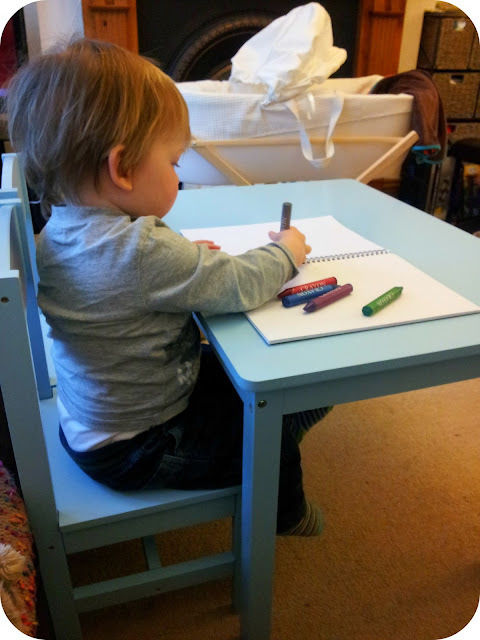 We have been sent a gorgeous blue wooden table and chairs too and Dylan loves to sit up at his table and do some drawing or puzzles. The set was a little tricky to put together, but the bloke managed it by himself and the table and chairs seem nice and sturdy now. I think they will last Dylan quite some time as he has plenty of growing space but he can climb onto the chair by himself too. They are the perfect addition to our playroom! Disclaimer: We were sent the table and chairs free of charge but all thoughts, opinions and photos are completely my own. I can't wait until we have some extra space for our little man to call his own. His toys are already taking over. Love the book shelves. This looks really lovely, love the bookcase too! Looks so great. Love the table and chairs very cute. 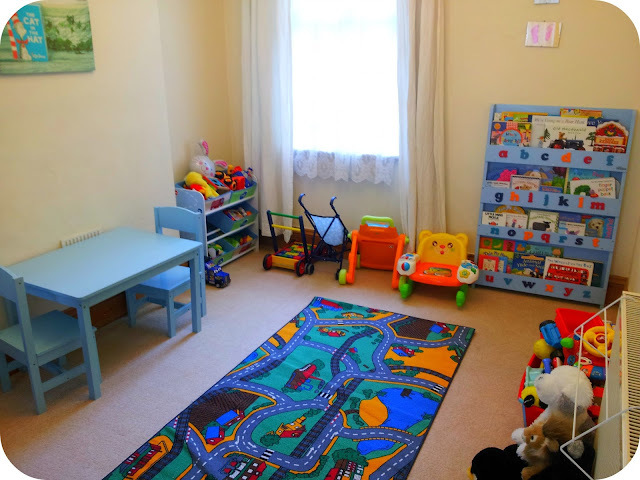 love the bright blie colour, it all looks so fab and neat and tidy but I had to chuckle to myself - do you really think that invisible dividing line between childrens end and yours will stop the toys from straying?? I am a big fan of the storage unit you have there with the seperate boxes in so it is nice and easy for them to see what they want rather than having to look in sealed boxes for items.